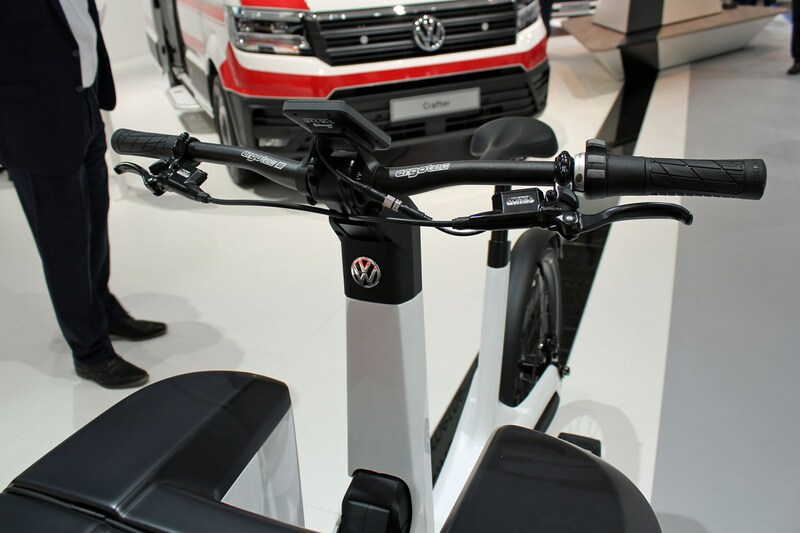 VW Cargo e-Bike – the ultimate eco-friendly last-mile delivery solution? It’s not every day you get to see the CEO of a major van manufacturer ride a bicycle onto the stage for a press conference – and it’s even more unusual when he then reveals that said bike is soon to become a part of the product portfolio. 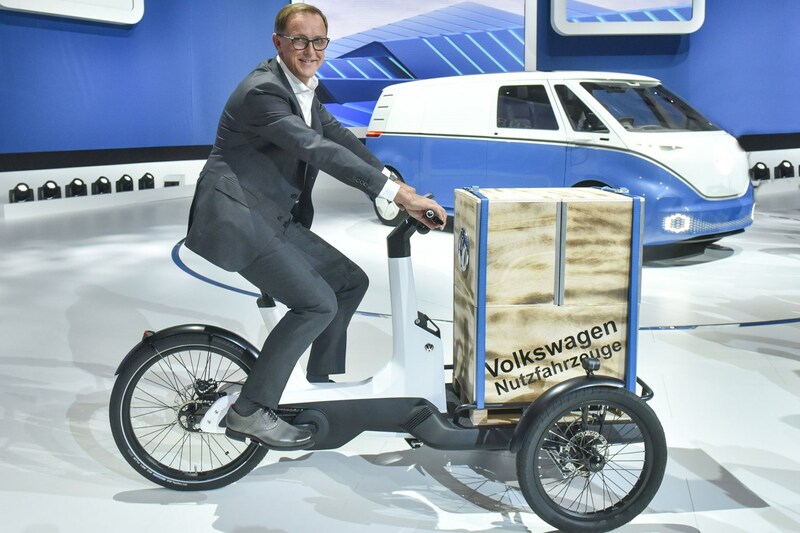 But that’s exactly the case with Volkswagen and this new Cargo e-Bike. Technically the Cargo e-Bike is a tricycle, obviously. But VW is deadly serious about offering it as another load carrying solution for its commercial vehicles line – via conventional dealers and perhaps direct sales on the internet. 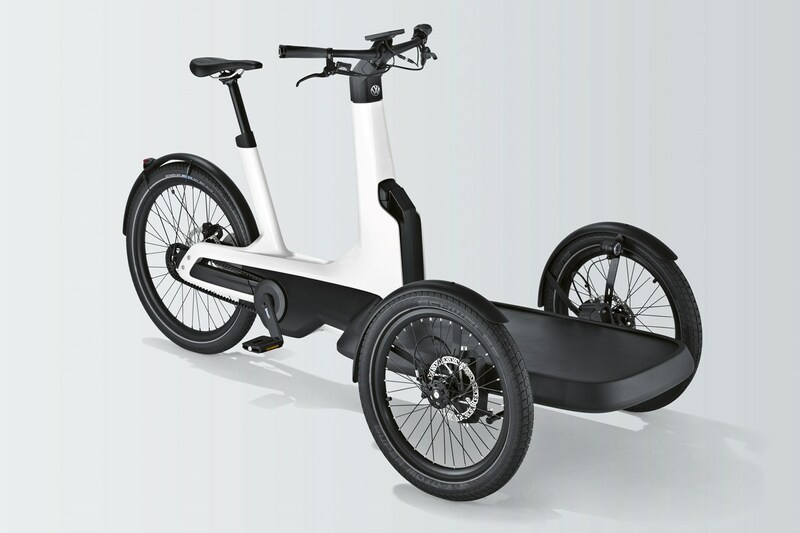 What’s more, the Cargo e-Bike is, as its name suggests, electric. So it doesn’t even take a lot of effort to pedal. 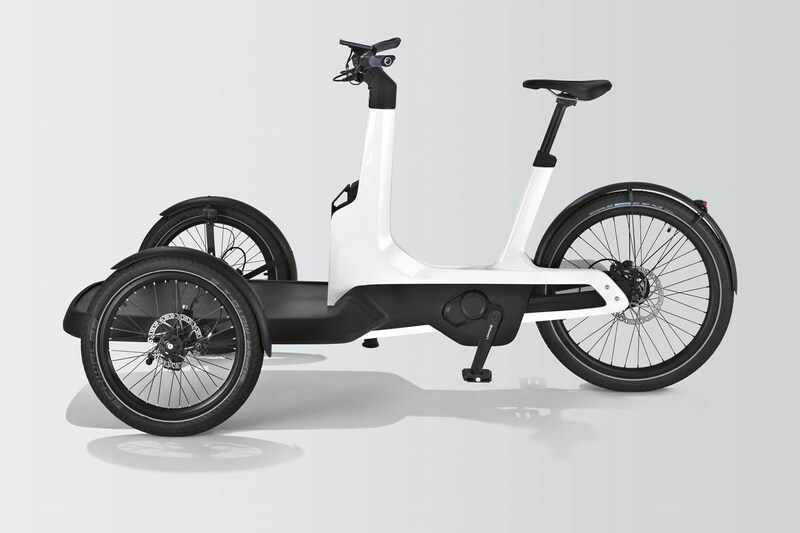 Speaking as someone who lives in Cambridge, the Cargo e-Bike is surely going to be a massive hit among certain parts of the population – albeit not necessarily the parts VW’s van arm is probably intending. 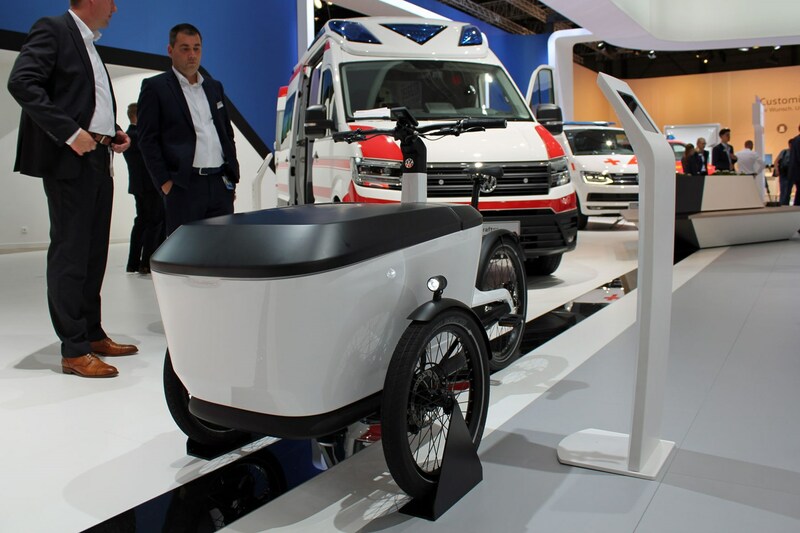 For while Volkswagen talks of ‘zero-emissions plumbers’ zipping to a burst pipe in triple-wheeled bliss, it’s also going to appeal to ordinary consumers who prefer to avoid driving a car but still need to transport bags and potentially offspring as well. 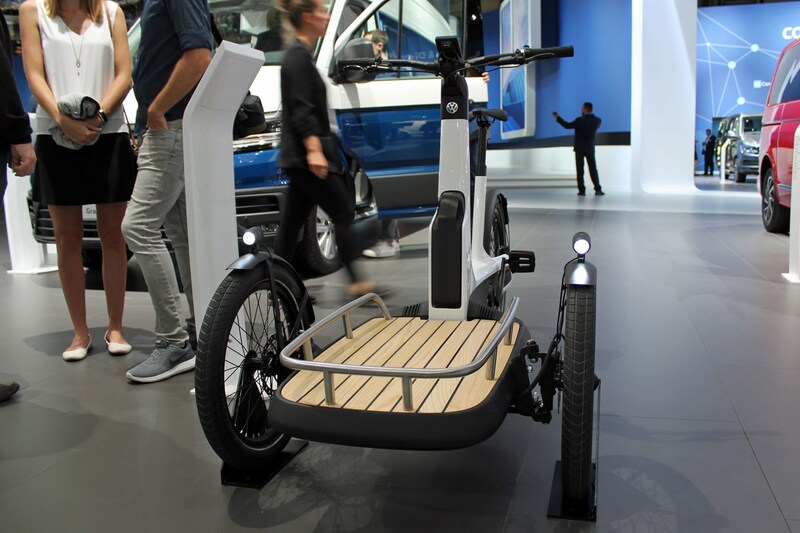 What’s the technical spec of the VW Cargo e-Bike? Speaking as someone who knows next to nothing about bikes, it looks pretty impressive. Referred to as a ‘pedelec’ (meaning a pedal bike with electric assistance), it uses a lithium-ion battery and a 250-Watt 48-volt electric motor to help you up to a top speed of 15mph. Payload is a substantial 210kg including the rider – a third of that offered by some small vans – and the construction is described as ‘rugged’, which is exactly what you want when beasting around with that much weight on board, we’re sure. 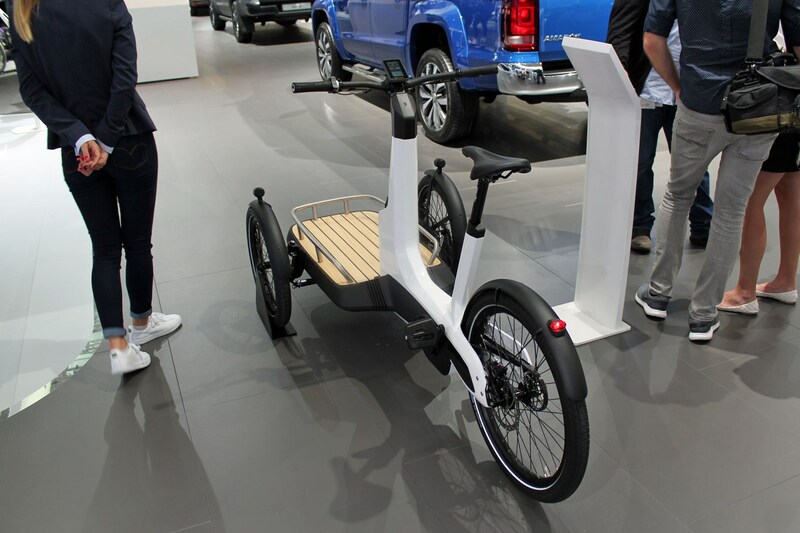 Load space is a maximum of 0.5 cubic metres, though various load area designs were on display for the Cargo e-Bike’s world debut at the 2018 IAA. More impressive still, it has ‘tilt-levelling technology’ to keep the load flat when turning corners – essentially an articulated joint between the load platform and the rider. VW says this is an innovation. When does the VW Cargo e-Bike go on sale and how much will it cost? Theoretically you’ll be able to buy in 2019, though VW still hasn’t decided whether to sell it in the UK. There has been suspiciously little mention of price. Which probably means it’ll be as much as a reasonable deposit on a small car.